Living with MS can be stressful, scary, frustrating, and isolating. The process of being diagnosed with MS can shatter one’s world. But one thing you quickly discover is that there are many people who share similar experiences and concerns. The MS community is fabulous; we have support groups, advocacy organizations, and companies who offer information and support. People living with MS are some of the kindest, most passionate, caring, and generous people I have known. The MS community is full of people who reach out to help others. The journey of diagnosis and living with the disease is a common experience that binds us together in solidarity. Sure there can be sub-groups within our community: people with different forms of the disease; people who are ambulatory (can walk); people with the same symptoms; people who love their healthcare team; people who dig MS research. The potential number of sub-groups is limitless. One thing that seems universal — people with MS have compassion for people with MS. There is nothing quite like talking to someone else who shares your disease, no matter how many differences or similarities you many have. Being able to connect through websites and communities such as MultipleSclerosis.net or Facebook is priceless. But there may be times that you want to connect with someone offline or outside of those public communities. Where can you go to talk to someone one-on-one? The MSFriends® program connects you with volunteers living with MS who complete a rigorous screening and training program and are focused on the needs of those who call for support. The volunteers are there to listen to your story and help you deal with changes brought about by MS, or they can be a sounding board for good decision-making and problem-solving. 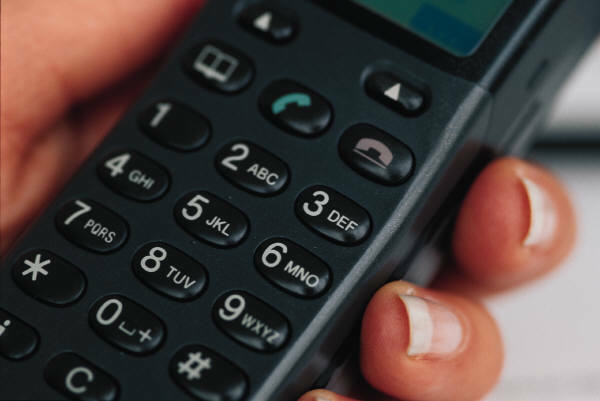 MSFriends® also has a call-back service for family members of those living with MS. Leave a message with the volunteer who answers and a trained volunteer who also has a family member with MS will call you back to provide support. To connect with a peer, call the MSFriends helpline at 1-866-673-7436. Volunteers are available 9AM to midnight ET, seven days a week. All of your conversations are confidential. The Multiple Sclerosis Foundation (MSF) offers a program that connects you with Volunteer Peer Counselors who are available to listen and offer support. The program also offers regular “check-in” calls from other people with MS. Calls can be requested each week, every few days, or once a month. Requests for calls can be made at 1-888-673-6287 or support@msfocus.org. If you are a man living with MS, the MSF program can put you in touch with MSF Volunteer Peer Counselor Jim Masterson, who has been living with MS for more than 20 years. Jim can be reached by calling 1-888-MSFOCUS (673-6287), or contacted at msmen@msfocus.org. If you have a question you would like answered by a peer counselor, call the MSF helpline at 1-888-673-6287 to speak with one of the volunteers. If a peer counselor is not immediately available, they will return your call as soon as possible. Through the National MS Society One-on-One Peer Connection program, you can search for and connect with a peer support volunteer who can provide you with helpful tips, suggestions and emotional support for the challenges that MS throws at you. Peer support volunteers come from many different walks of life, including family members of those living with MS. Through this program you can have confidential conversations with the peer of your choice about the topics that matter to you via one-on-one ongoing telephone calls, email conversations, or messages within the NMSS online community.